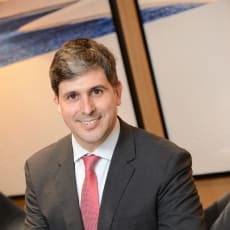 Rogério Podkolinski Pasqua is a labour lawyer with more than 20 years of practice in litigation and consulting, as well as acting in collective labour rights matters. He obtained his diploma in law from the University of São Paulo (USP) in 1994 and was a substitute consular coordinator of contracts and procurement at the legal department of the Ministry of Justice. Rogério Podkolinski Pasqua is also a former professor of civil procedural practice on the postgraduate programme at the Getulio Vargas Foundation (FGV) São Paulo Law School.